“Thanking God for the opportunity to meet with the Alabama State Board of Mission’s Evangelism team – Dr. Sammy Gilbreath, William Harris and Phil Winningham, and their invitation for SOS to join them at the Summit in August at Shocco Springs.” Patty Mills Please pray that this meeting on June 6th will go well with men that have the authority to help SOS Events grow. 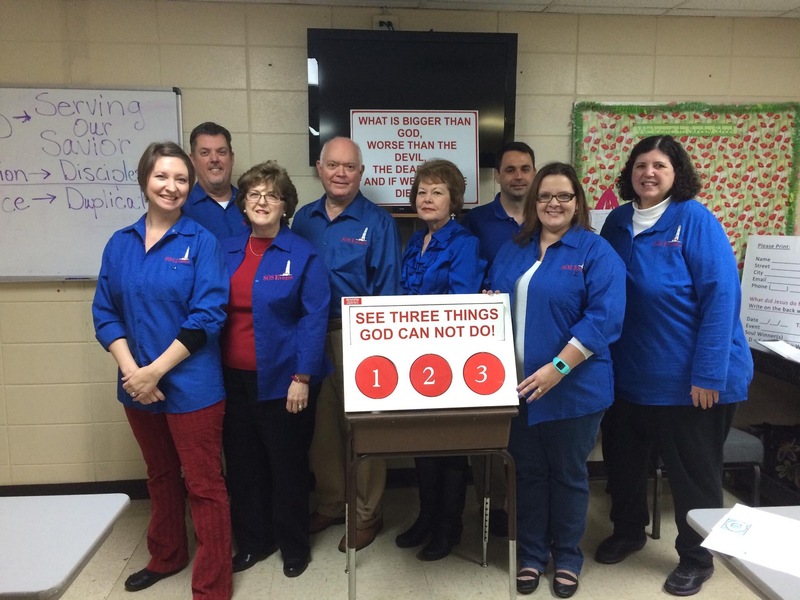 Patty on the left with part of SOS Events Alabama team. I Timothy 1-2 I exhort therefore, that, first of all, supplications, prayers, intercessions, and giving of thanks, be made for all men; For kings, and for all that are in authority; that we may lead a quiet and peaceable life in all godliness and honesty. This entry was posted on May 26, 2017 at 10:30 am and is filed under Email: info@sosevents.org, Event Activity & News, Praise. You can follow any responses to this entry through the RSS 2.0 feed. You can leave a response, or trackback from your own site.